Anupam Kher's Twitter handle -- @AnupamPKher -- was briefly changed to @AnupamPKherTC. It has now been restored after it was suspended for a while. The actor has close to 12 million followers on the microblogging site. New Delhi: Some Twitter accounts, including those of actor Anupam Kher, Rajya Sabha member Swapan Dasupta, Puducherry's lieutenant governor Kiran Bedi and BJP general secretary Ram Madhav were hacked today, allegedly by pro-Pakistani Turkish hackers. Mr Kher, who is in Los Angeles right now, said he was informed about the hack by his friends in India and had flagged the issue to Twitter. The actor said he had got a link as a direct message (DM) from BJP lawmaker Swapan Dasgupta. "Got a DM yesterday from Mr Swapan Dasgupta's account about a link. A first from him. So opened it. Have spoken to Twitter already," Mr Kher told news agency Press Trust of India (PTI). Mr Kher's Twitter handle -- @AnupamPKher -- was briefly changed to @AnupamPKherTC. It has now been restored after it was suspended for a while. The actor has close to 12 million followers on the microblogging site. Mr Dasupta's account though is still not accessible. A message on the landing page says - "Caution: This account is temporarily restricted". Mr Madhav's account, though still open, still has several messages in Turkish and pictures posted by Ayyildiz Tim, the same group that had targeted the Twitter accounts of some supporters of US President Donald Trump last month. One of the messages posted on Mr Madhav's handle read, "Your account has been hacked by Turkish cyber army 'Ayyildiz Tim'. Your DM correspondence and important data have been captured. I Love Pakistan." 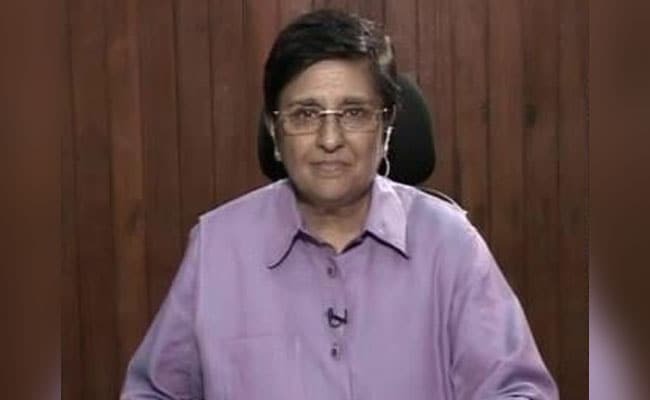 Ms Bedi's account has an animated clip posted by the hackers. Twitter responded to the hackings by saying, "Our teams are working to resolve an issue affecting a small number of Indian users. We will notify affected account holders directly." It put out a note of caution as well -- "do not click on links in DMs coming from unknown accounts".